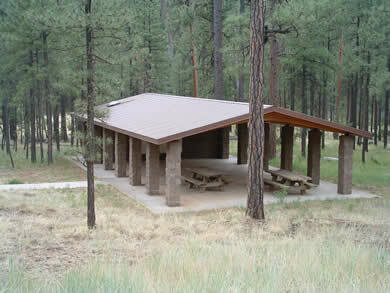 Horse Springs Campground is the largest campground on the East Fork of the Black River. With recently upgraded facilities, including a group ramada and a picnic area, this makes for a real nice camping experience. 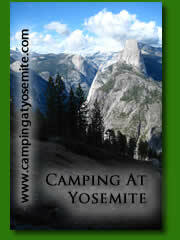 The campground is just a few steps away from the river. Fishing the East Fork definitely has its rewards. An 11 pound 7 ounce rainbow trout was taken in the summer of 2003 just above Aspen Campground. Most of the East Fork of the Black River is fishable, and this is very much fly fishing heaven in Arizona. Rainbow trout are regularly stocked at several locations along the river starting in spring and continuing through the summer months. Wildlife is predominate in the area, Bighorn sheep, waterfowl, bears and elk can be seen in the surrounding area regularly, so make sure you pack everything up at night to avoid any confrontations. From Alpine: Drive north 2 miles to forest road 249. Turn west and travel down a nice gravel/dirt road 5 miles to forest road 276. Turn south and travel 10.5 miles to the Aspen Campgrounds. From Big Lake: Travel east on FR113 (Big Lake Entrance) to FR249 (It's basically the same road) past Three Forks to FR403. Turn right onto FR403 to FR276. Travel 3.5 Miles on FR276 to Aspen Campground. Above: The group ramada at Horse Springs Campground.